If you were seeking a guidebook on how not to carve out a career in motor sport, Greg Brown’s story might be a good starting place. Following two years of studying numerous concepts and with a prototype partially complete, he undertook the daunting task of pioneering production Hemi cylinder heads for the small-block Ford engine in a scant period of just under four and a half months. 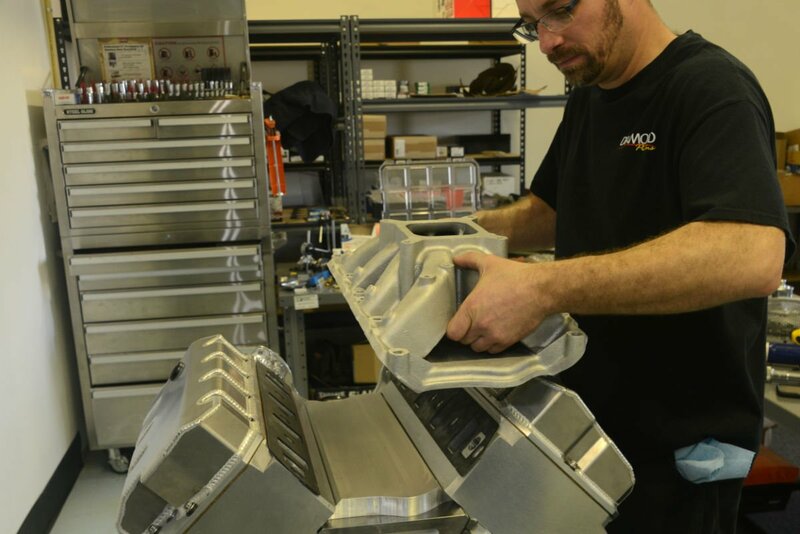 The processes for developing the rare Hemi included complex scanning to gather CAD data, mobilizing a casting company to create the tangible form and developing a CNC program that would sculpt its final shape. Then, a head was urgently dispatched to Jesel to develop crucial rocker development. With an intuitive grasp of the technical and an eye for future opportunities, what had shaped Brown’s decision? “If I failed to display it at the 2016 PRI exhibition in Indianapolis, I could potentially squander a year,” he said. The performance-minded public, particularly those based in the Northeast is large and active and languishing for a further 52 weeks in obscurity was obviously not an attractive proposition. 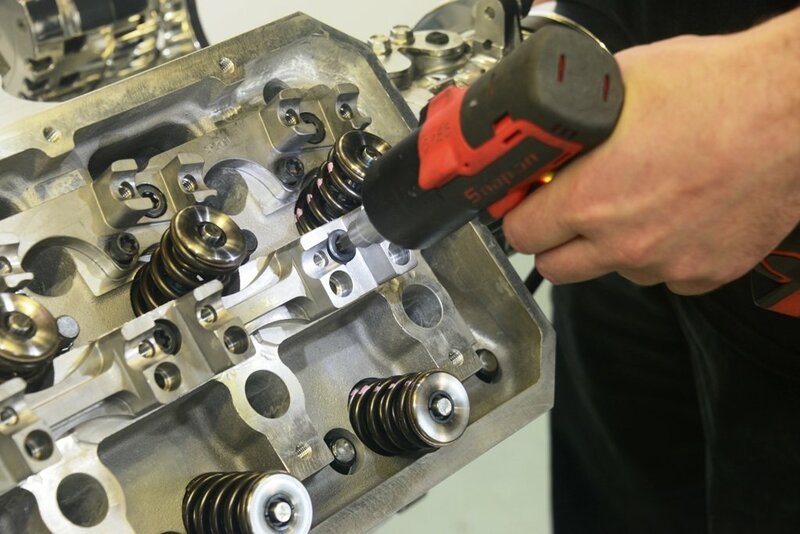 Even more astounding, word of the unique cylinder head would be released without any convincing proof of a single dyno test. There was simply no time. 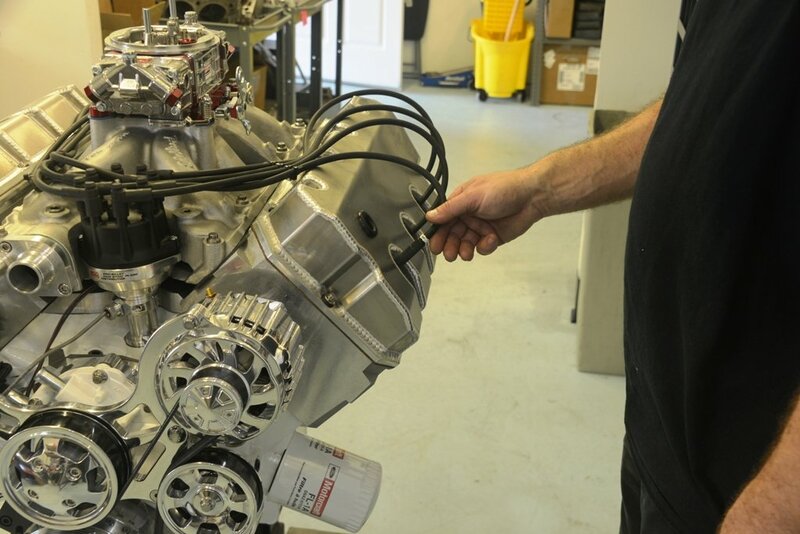 When the inaugural dynamometer test of the new heads, which were attached to a 427ci World Products block, was eventually undertaken in January 2017, the results were astounding: 604hp and 601lb-ft torque. Astounding because the initial set up was meant to deliver 10.5:1 compression ratio. 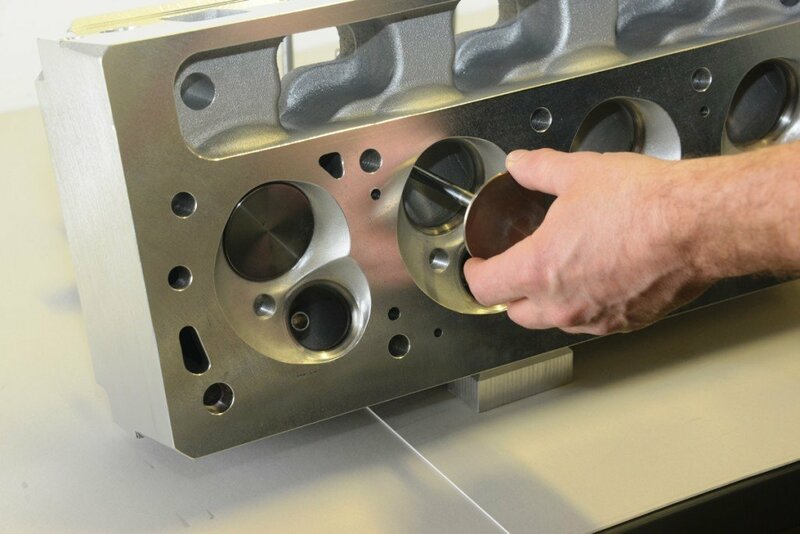 However, final valve changes were made, which entailed moving the intake valve seats to slightly higher territory in the combustion chamber. As a result, the original 62cc chambers had now gained 6 or 7 cubic centimeters of volume and valuable compression properties were reduced to a meager 9.8:1. So, what’s next? “Currently, I’m pressing ahead fulfilling orders,” he says. These include the supply of rockers, rocker stands, gaskets, etc. 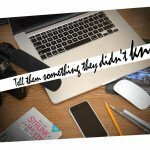 “But I’ve now graduated to offering pistons, rings, distributor extension and cylinder head stud or bolt kits. 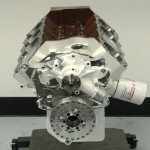 Also, the first competition version – which I’m working on – will feature a different compression ratio, induction system and camshaft,” says Brown. Importantly, for this new Hemi concept to realize its full potential, it’s crucial to install it in a race car as soon as possible. This will broaden its appeal and prove its merits. Racing lives on the edge of the competition precipice and an impressive quarter-mile time slip reveals all. Greg Brown, a 45-year-old who originated from a small town in Vermont and moved with his parents in his teenage years to Atlanta, has now based his fledgling company in the Atlanta suburb of Snellville. 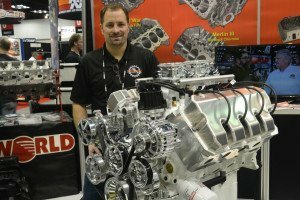 Twelve years ago he took employment at Jon Kaase Racing Engines, perhaps reflecting his youthful admiration for the man who has shown such versatility in a long career devoted to the development of racing engines. 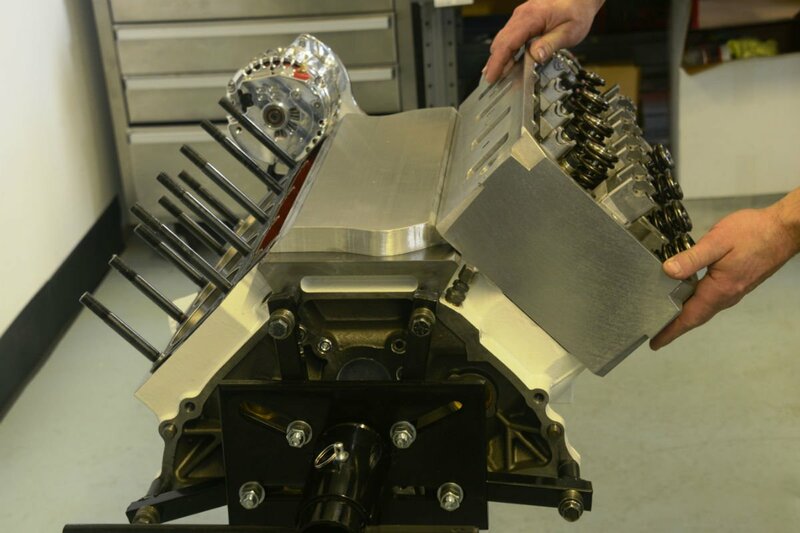 Hammerhead’s new Hemi heads being installed for dyno-testing. What’s the allure of the Hemi? 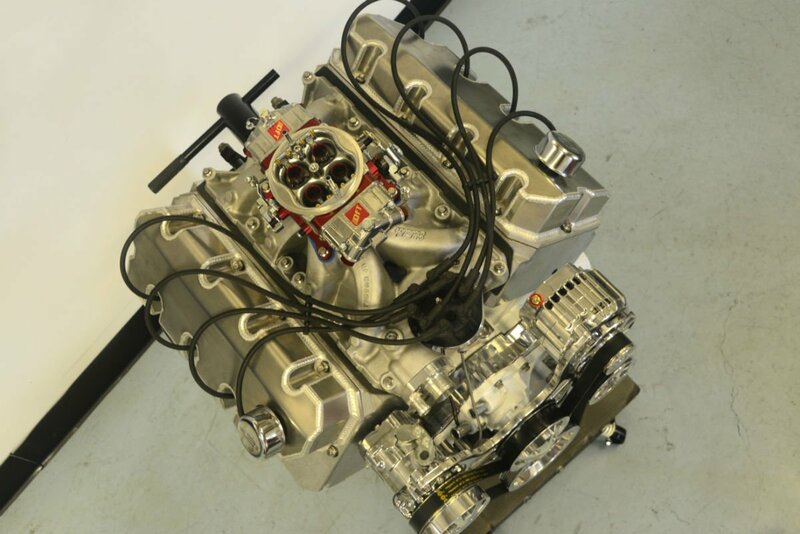 Well, they’ve enjoyed an evocative and winning formula for decades and for small-block Ford engines they are unique. 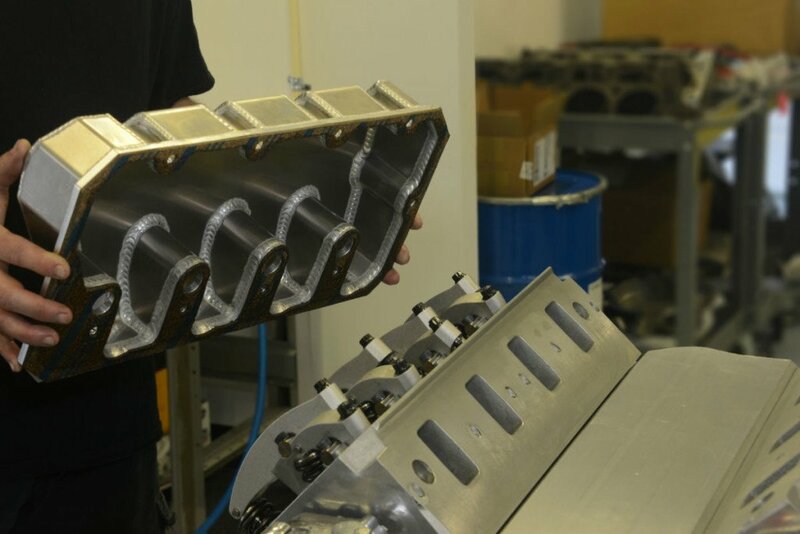 These feature raised ports for direct air flow, they also accept traditional intake manifolds and attach directly to 289, 302, 351W and, with some alterations, 351C engine blocks. 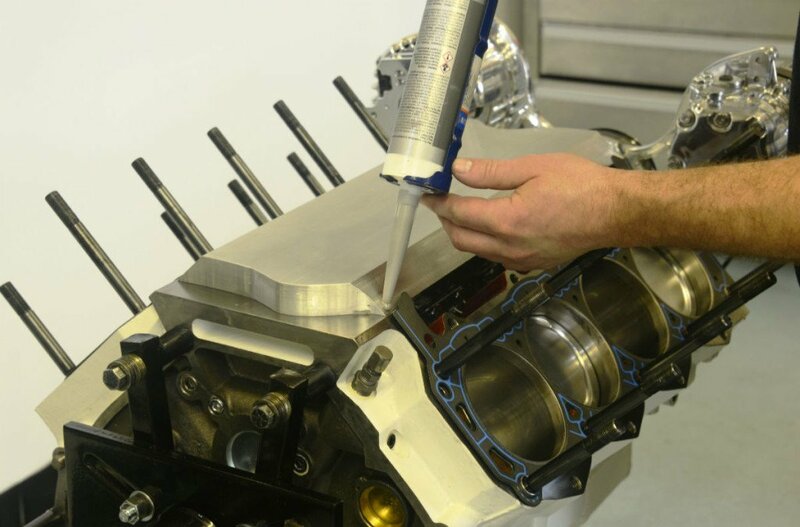 They boast full water jacket capacity for proper cooling and accept standard intake gaskets. The exhaust flanges use Yates C3 bolt pattern and Felpro 1433 gaskets. Note original prototype one-piece lifter valley cover depicted. 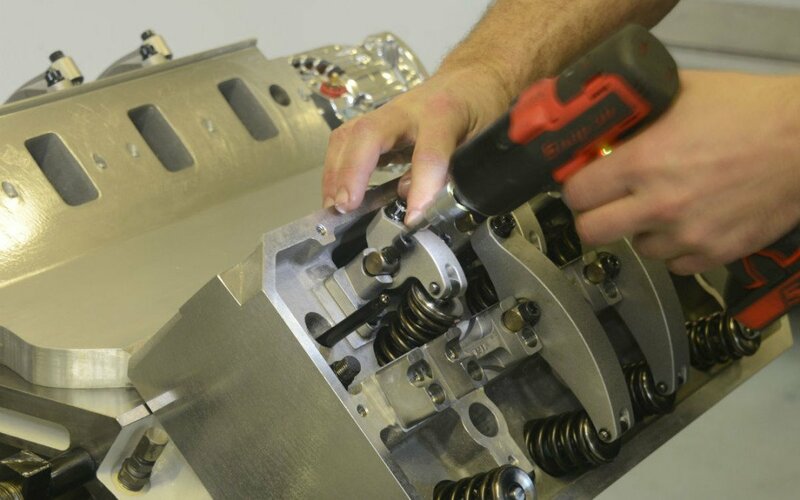 However, production items are of two-piece construction, which will feature a removable inspection panel, accessing the lifter valley and lifters. 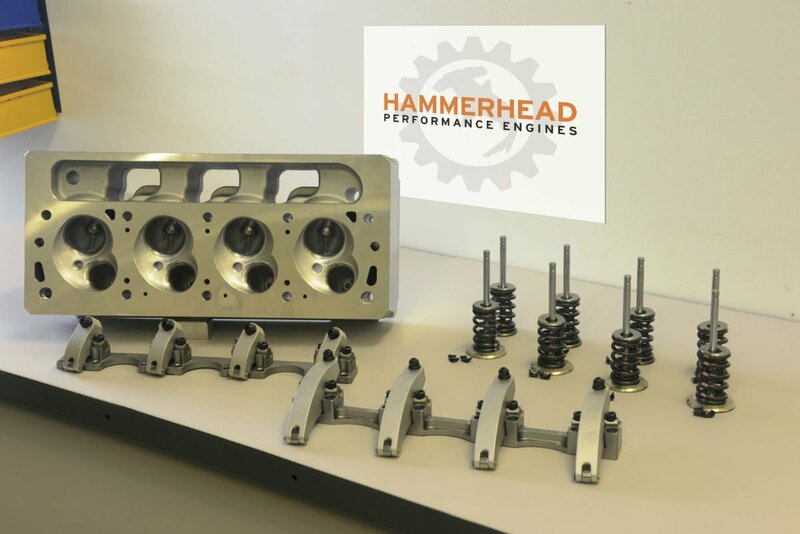 Hammerhead Hemi kits accommodate many commonly available parts, including virtually any make of Windsor head gasket – always an appealing prospect. Appropriate head stud or bolt kits are provided to suit your block. Interestingly, bolts are half the price of studs and probably the best option if heads are to be removed within the tight confines of an engine bay. But each time they’re removed they cause thread wear, which is more concerning if they are engaging in aluminum blocks. Whether bolt or stud, torque them to 100lbs-ft and use a thread lube. Using a valve-installed height of 1.950 inches, the formula behind the calculation is as follows: add the height of the spring when coil bound to the amount of valve lift, plus a working clearance of 0.050 to 0.080in. 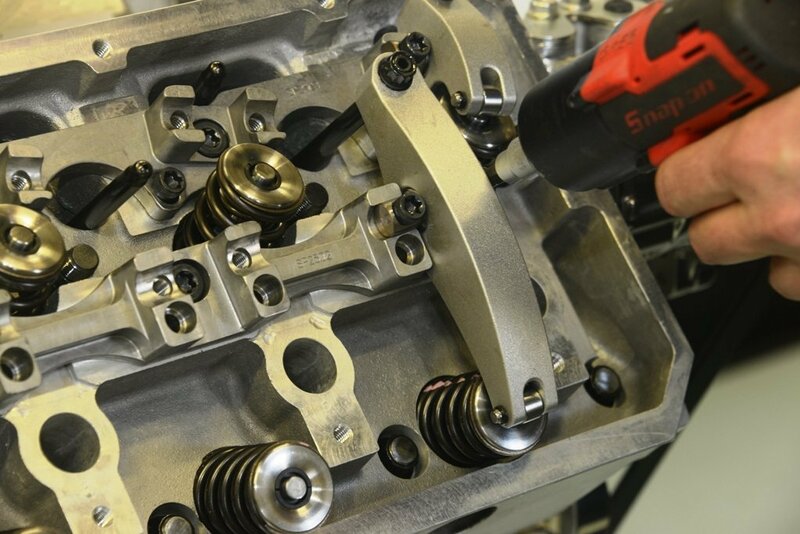 In addition, the heads accept valve springs to a maximum of 1.5in OD. 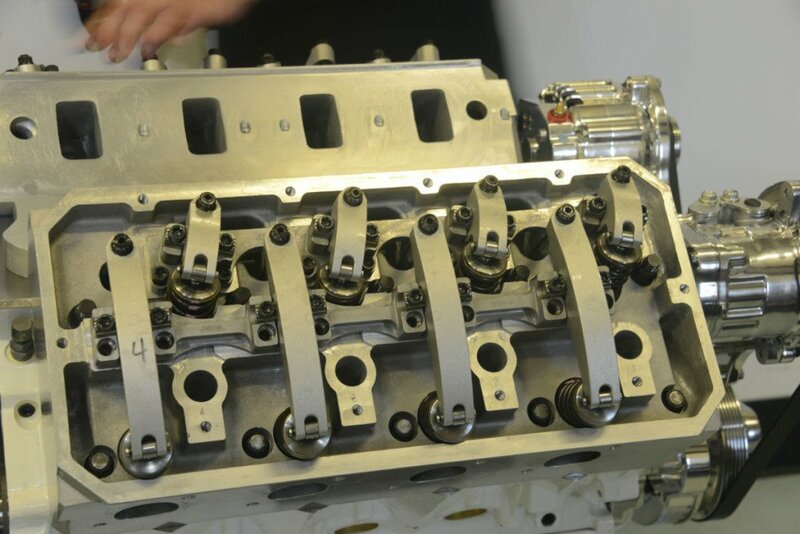 Both intake and exhaust valves operate at angle of 15 x 6 degrees. These push rods maintain better posture than those found in most Hemi engines, particularly those operating the exhaust valves. In fact, the purpose of Hammerhead’s long exhaust rocker design is to overcome the need to grind larger clearance holes in the block. Straighter push rods also eliminate unwelcome side loads inflicted on the lifters. 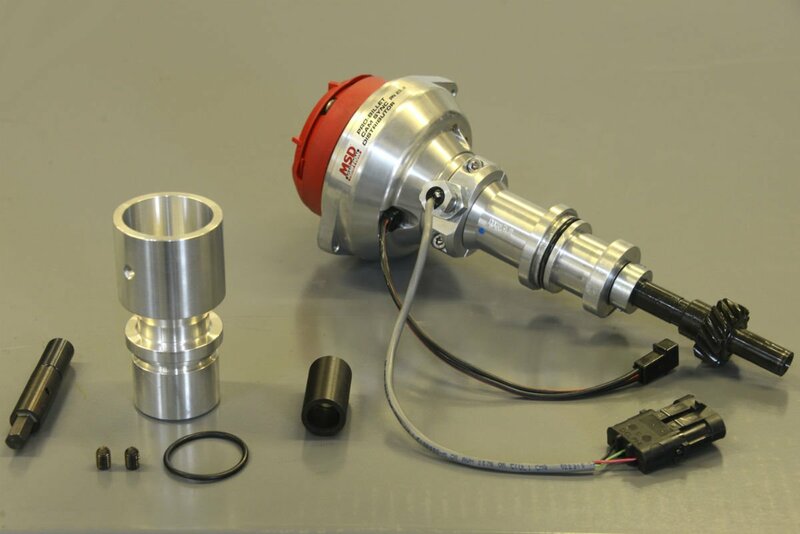 Made by Jesel, the shaft-mounted rockers operate on a ratio of 1.7:1. However, optional ratios ranging from 1.6:1 to 1.85:1 can be provided. With regard to their mountings, the chief benefit of solid one-piece rocker stands lies in their rigidity. Ford enthusiasts hold deep admiration for cast aluminum Boss-style valve covers, which are supplied as standard with Flatout gaskets. But racers, who desire the sheet metal expression can opt for a lightweight fabricated style, as depicted, available for an additional $300 charge. 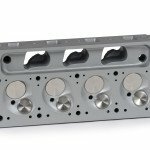 With common 1262R Felpro gaskets in place, use any single- or dual-plane intake manifold that suits the block: a 351W intake mates with the 351W block. 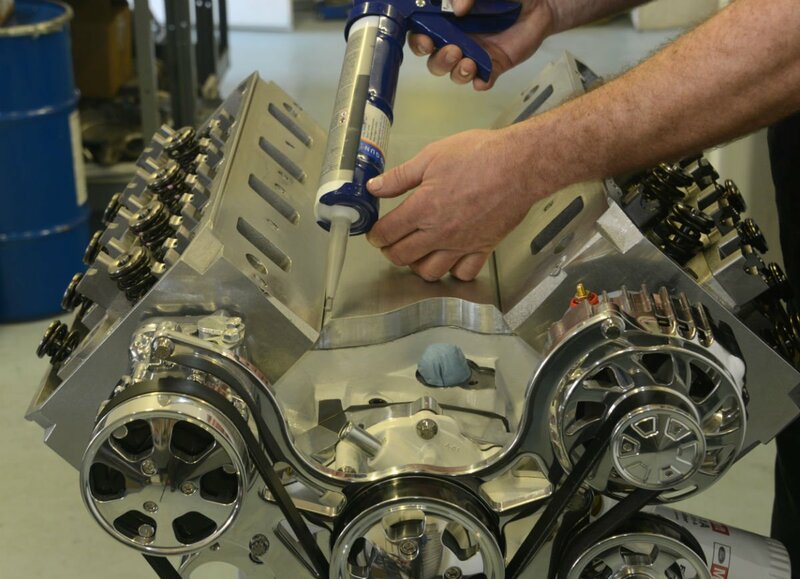 Because the intake manifold is raised, a distributor extension is required with most conventional intake manifolds. Use a distributor extension kit ($115) to facilitate the distributor. those pesky LS engines when both are normally aspirated.Besides being absolutely stunning to look at they are also beautiful works of engineering. Going to follow this closely in the future. Kudos to Mr Brown! The street rod market will be going nuts over this! 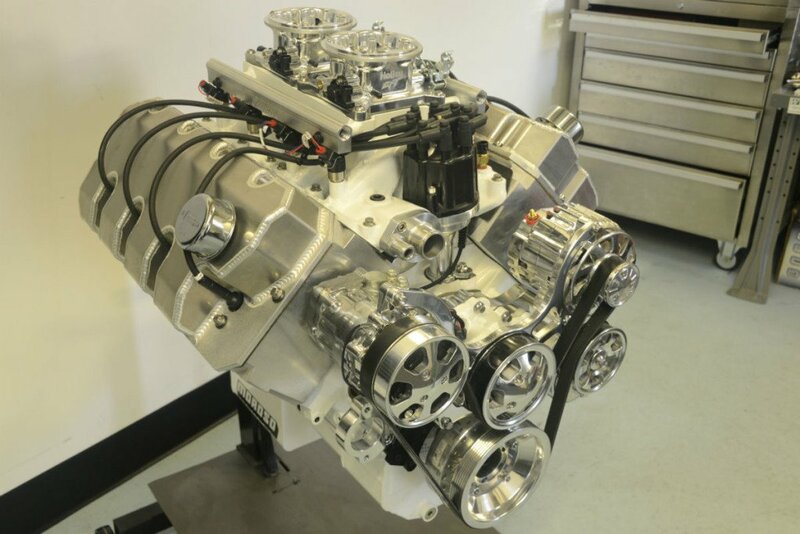 The price of a street engine will be comparable to the Coyote or a lot less with a lot more cubes…maybe an Ardun-style valve cover for the purists. My mind is running overtime! Thank you guys for your kind comments. It has not been for a lack of hard work, but it’s all finally coming together. I have some very cool and interesting builds in the works with these heads, so keep checking in. You won’t be disappointed! Thanks, I look forward to speaking with you. Fantastic set of heads, this is the way Ford should have gone instead of pursuing the Coyote-style engine. The outer dimensions look about the same as the Coyote but with more cubes, and the added benefit of fewer moving parts. I would love to see a side-by-side dyno run between this engine and the Ford Coyote engine. I have a new Edelbrock top end still in the box, and if I could sell it for what I paid, I would order your top end right now. 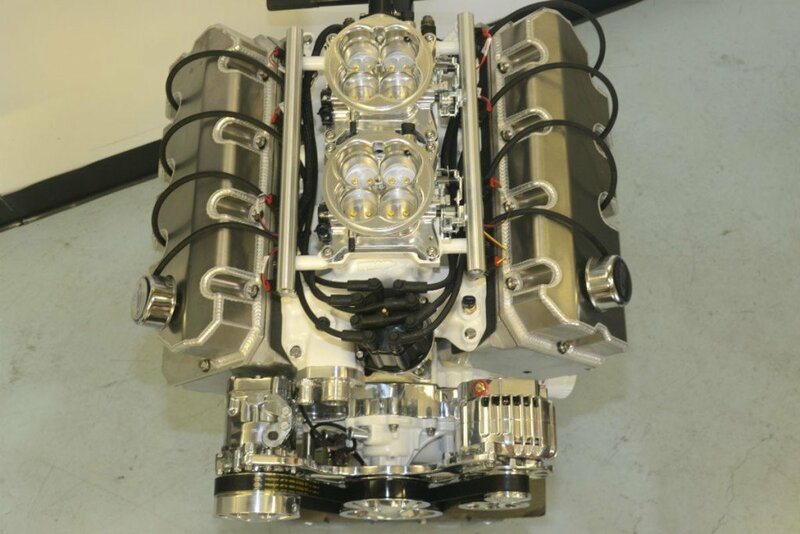 I would be the first one to have a Hemi head 408w in a ’39 Ford pickup in Pa. I need these heads? What kind of power are you making with turbos? Hi. 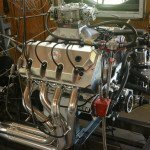 I have an X275 customer that is making over 1750 rwhp with a 412″ SBF and a single 85mm turbo on alcohol and another with a single 98mm making over 1800 rwhp on race gas.